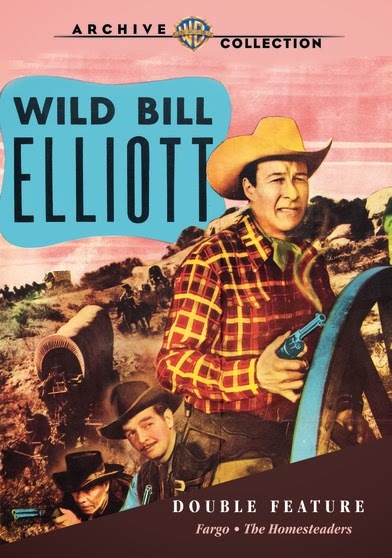 Rupert Pupkin Speaks: Warner Archive Grab Bag - Bill Elliott ""
Wild Bill Elliot is a bit more stoic and less charismatic than say George O'Brien, but he has a toughness about him. It comes from the cadence of his speech, the way he moves. In FARGO (1952), he comes in between cattle men and homesteaders when he tries to resolved thing left in the wake of his brother's death. Cattle men in this area are known for deliberately stampeding their cows into homesteaders farms, fences and fields. Wild Bill has a few ideas for how to curb such stampeding. He has a special homemade brand of spiked barbed wire that he's found effective against cattle being run into. Reminds me of Charles Bronson in DEATH WISH III or something. But cattle men hate wire and tend to "intimidate" the crap out of folks trying to use it. Every roads leads to one thing - war! The other film in this double feature is THE HOMESTEADERS from 1953. Rarely have I seen a B-movie actor whose cadence and personality served both the western and detective movie genres equally well. Robert Mutchum is one that comes to mind, but it seems that more often these kind of actors, especially those that did westerns (Johnny Mack Brown for example) mainly stayed in that genre with a lot if the roles they took. Bill Elliott is an interesting phenomenon in this regard. He is an actor with a rather deadpan, almost flat style of delivering dialogue. It might be read by some as bad acting, but it can also be seen as a sort of gruff tough guy way of talking. Kind of that "man of few words" vibe. This style does, as I said, work well in the detective/noir ballpark. In a time pre-Dragnet, he's a poor man's Joe Friday. His matter of fact tone compliments the detective roles in the movies in this set. Even the way he moves and the clothes he wears (slightly oversized suits, oversized hat) mesh well too whilst still giving an air of "cowboy" about them. He even has a belt buckle reminiscent of a old west type fella. 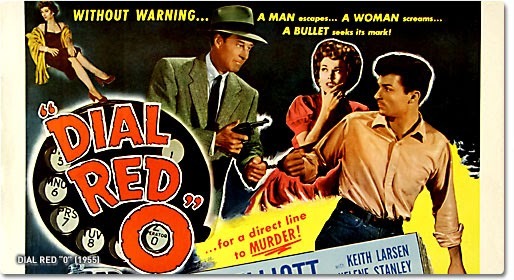 My two favorites from this set (of five films) are DIAL RED 0 and CALLING HOMICIDE. Both gritty procedurals, both enjoyable and shot in widescreen (1.85 to 1) which makes them feel a little different, perhaps bigger than you average noir (typically shot in 1.37 to 1). 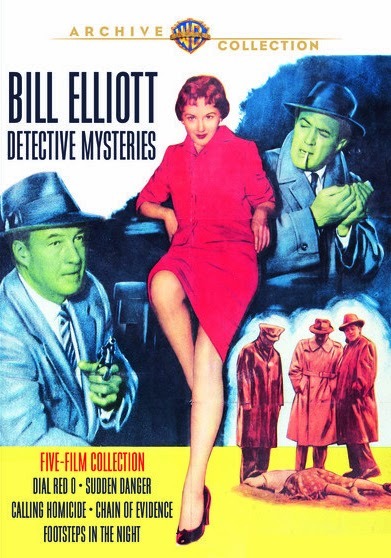 All five films have a nice through line in that Elliott plays Detective Lieutenant Andy Doyle, so it's a pleasantly episodic bunch of films. Andy works out of the Hollywood Station office in Los Angeles and it's always nice to see more L.A. noir in my opinion so this is a plus. Underrated Westerns - Phil Nobile Jr.